Walker & Dunlop, Inc. (NYSE: WD) (the “Company”) announced today it structured a $15,000,000 refinance loan with Freddie Mac for The Harvey, an early 1920s vintage, midrise multifamily building in Los Angeles, California. This rent-controlled property qualified as 100 percent “affordable” by Freddie Mac’s metrics, which provides costeffective rents for moderate- and low-income tenants in this high cost area. As a result, Walker & Dunlop could provide aggressive financing in the form of overall loan proceeds and a lower rate. The loan was structured as a seven-year, adjustable-rate mortgage with two years of interest-only payments, followed by a 30-year amortization schedule. In the first year of ownership, the client made interior renovations and exterior restorations, which enabled the loan to recapitalize over 90 percent of the owner’s basis in the property. 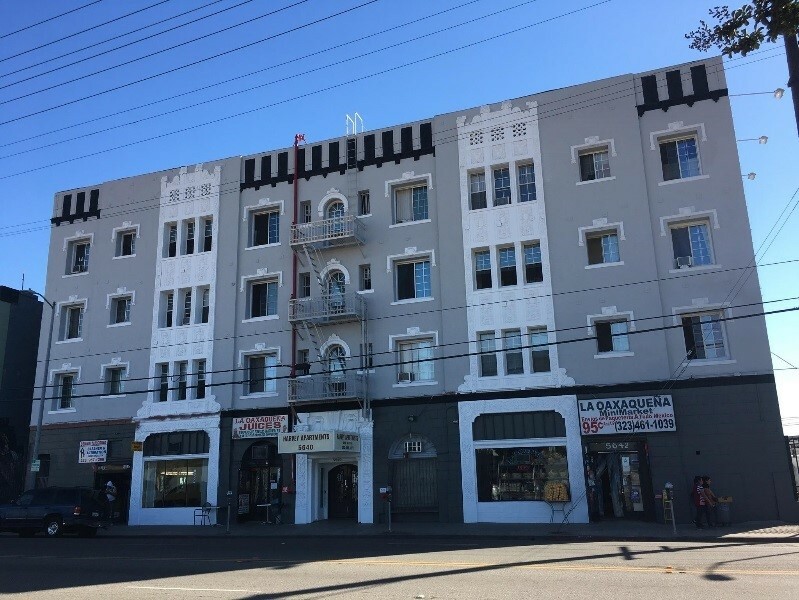 Last month, the mayor of Los Angeles publicly recognized the property’s sponsors for their proactive and thorough renovations to another one of their rent-controlled assets in nearby Echo Park. Located just west of the 101 freeway, along East Hollywood’s Santa Monica Boulevard, The Harvey fills a gap in the area’s housing market by offering an affordable living option for local service and entertainment industry workers, in an area that is saturated with luxury living options. Just a short walk to Paramount Studios, this 57,664 square-foot building consists of four stories with street accessible retail shops on the first floor and 178 apartment units on the additional three levels.